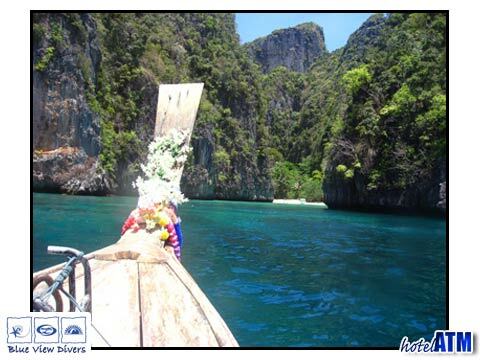 Loh Samah diving and snorkeling can be some of the prettiest underwater experiences on your time on Phi Phi. Loh Samah is on the south east corner of Phi Phi Ley and has a small beach, a snorkeling reef inshore and an island offshore. It also is the access route to Maya Bay when the entrance to Maya is too rough and is home to some cliff jumping. Located on the east side of Phi Phi Ley, Loh Samah is separated from Maya Beach by a thin limestone wall with a small hole which cuts through the rock making it possible to walk /crawl through. Loh Samah Bay is also a very popular site for snorkeling trips. The main dive site is around the large islet that fills the bay although it’s is small enough to allow divers to complete a complete circle of it at least once on a single tank of air. This wall dive descends to around 20m on the side furthest away from Phi Phi Ley. At around 15m depth there is also an interesting narrow canyon just inside the bay that divers can swim through, taking care not to damage the gorgonian sea fans which hand from either side.. The wall is covered in soft corals and clams and is home to all the usual marine life around Phi Phi dive sites especially Giant Morays, cuttlefish, octopuses, pipefish and lionfish. 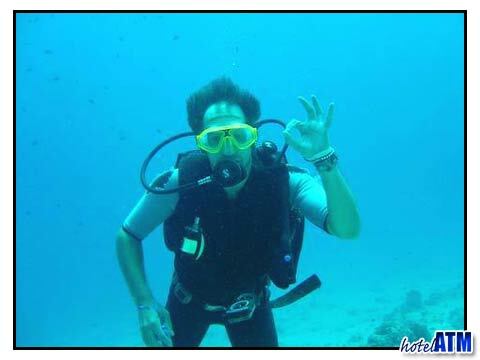 Loh Samah Bay is frequently included as a Night Dive site for many liveaboards, during these dive you will often stay within the shelter of Loh Samah and dive the inner walls of the bay itself with a maximum depth of around 15 meters. Torches bring to life the vibrant colours of the coral covered walls plus the reflective eyes of shrimps and lobsters dot the walls like stars. Night is a good time to see moray eels hunting as they swim up down and across the walls, which makes a nice change from just seeing their heads. The swim through is also accessible during the night dive and is even more spectacular at night. Because Loh Samah Bay is sheltered it’s a great place to see bioluminescent algae which glowes when you agitate the water with your fins or hands. To get the best view hold your torch into your chest to block the light and watch the sea light up around you. There is no accommodation on Loh Samah as the flat land is too small. There is Maya Bay Camping and you can get from Maya to Loh Samah.